In your day-to-day involvement with drug or alcohol addiction, you most likely have pursued your substance of choice with absolute commitment and fervor. If your life has been spiraling out of control, you’re most likely reaching the point in time when you’re ready to admit defeat and request help. When that time comes, you should pursue getting that help with the same level of commitment and fervor. Regardless of where you might reside in either Florida or other parts of the country, you should be aware that many drug rehabs in Jacksonville FL have a solid reputation as a high quality treatment facility. For what it’s worth, you stand a much better chance of focusing on your recovery process if you have the means and ability to temporarily relocate away from your home environment. This will allow you to avoid outside interference and get the best treatment possible. According to information provided by the CDC and reported by Trust for America’s Health in 2013, Florida has had significant problems with drug abuse and deaths related to drug overdose—16.4 deaths for every 100,000 residents. 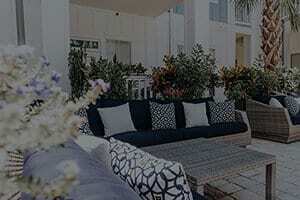 In order to keep yourself from becoming just another tragic statistic, you should consider getting immediate help from a reputable drug rehab center in Jacksonville FL such as Beaches Recovery. The fact you got caught up in the cycle of addiction was most likely something you had very little control over due to the insidious nature of the disease of addiction. However, you do have choices when it comes to selecting the kind of treatment you want to receive. If you want a traditional residential treatment program in a run-of-the-mill drug rehab in Jacksonville FL, you certainly have that option. On the other hand, you also have the option to select a facility that uses a modern approach to addiction treatment and has established a proven track record for setting patients firmly on the road to a lasting recovery. If this sounds like a better option, you should consider a treatment facility like Beaches Recovery. One of the unique aspects of the treatment program at Beaches Recovery is that we use the time-tested 12-Steps of Recovery, and infuse it into modern treatment options like intensive outpatient (IOP) and partial hospitalization (PHP) treatment. By allowing patients to stay connected to the outside world while they seek treatment, the facility’s counselors are creating an atmosphere of trust and self-sufficiency, which should serve patients well when they’re ready to graduate from treatment. Most of the facility’s treatment program is focused on intense individual counseling and group therapy. In addition to providing education about the causes and dangers of addiction, patients are also taught the life skills necessary to live life on life’s terms without the need to drink or use substances. By reaching for an advanced treatment program that goes beyond offering standard treatment options, patients stand a much better chance of getting exactly what they need. Regardless of how many times you try to get help, you should treat every opportunity for treatment as though it’s your last chance for recovery. Our highly trained counselors here at Beaches Recovery have the exact same motivation as you. We want to see you say goodbye to your addiction as you travel down the road to recovery toward a much more fulfilling life. Get us today at 866.605.0532 for more information.